in the previous issues of Chongqing Stories, we interviewed a number of foreigners living and working here in Chongqing, but we didn’t seem to pay enough attention to the city itself. In this last issue of Chongqing Stories, we would like to introduce you to the development and the construction of bridges in our city. 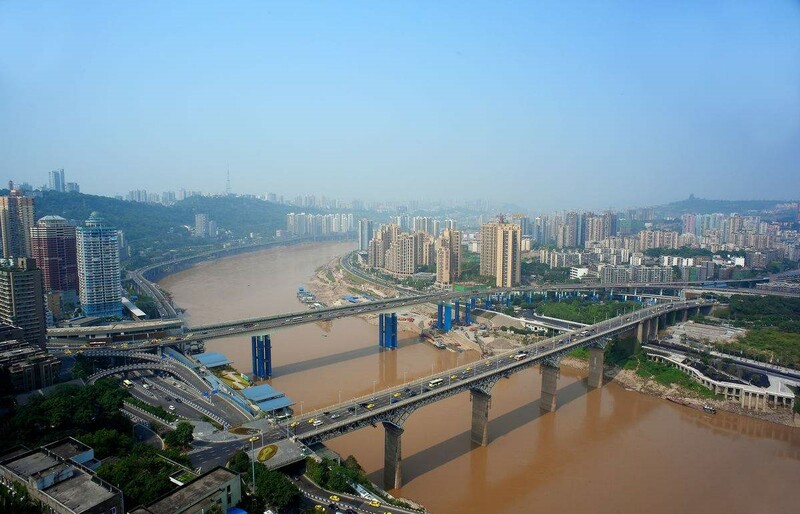 Given the geographical conformation of Chongqing, without bridges it would be practically impossible to move around. 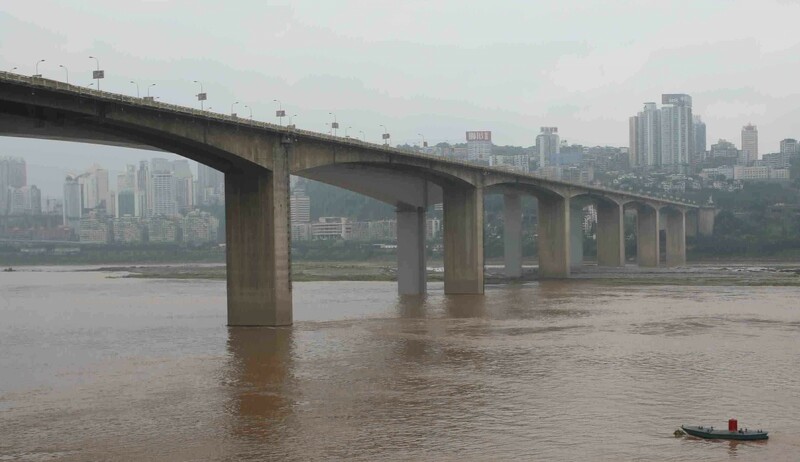 Recently, many commuters’ route has been changed following the maintenance of Niujiaotou Jialing river (add Chinese name), proving the importance of bridges for Chongqing and for locals’ life. Chongqing is known to be a landscape city. Its unique hilly landscape makes buildings here scattered layers upon layers. The two rivers in the center of the city are natural moats for Yuzhong District, the main passage for ancient Sichuan people to reach the lower banks of the Yangtze River, and more importantly, an inseparable part of the gorgeous night scenery in Chongqing. As Yangtze River and Jialing River expanded, people gradually moved to Yuzhong District to build their homes, including the later-on popular scenic spots of Hongyadong and Ciqikou. With the increasing number of residents, and their Diaojiaolou (吊脚楼 diào jiǎo lóu, ‘hillside house on stilts’) style buildings piling up, there’s no more room for new comers. They had no other choices but to expand beyond to the north part of Jialing River and south part of Yangtze River. But it’s very inconvenient as their only transportation option is ferry. Eight years after Chongqing was listed as one of treaty ports (the result of Chefoo Convention, also known as Yantai Treaty signed between Qing and British Empires) in 1890, one steam boat flying the British Empire flag, crossed through thick fog and arrived in Chongqing. That was the first time for Chongqing people to get to know boat driven by non-manual forces. Following that, the wooden ferryboat here shuttling across the river day and night was first replaced by steam-engine one, and then by fuel oil driven one. In 1958, the municipal government decided to build the first bridge crossing Jialing River so as to connect main urban areas alongside the river bank. After 7 years of hard work, during the Chinese spring festival of 1966,the 21-meter wide and 625-meter long Niujiaotuo Jialing River Bridge was finally completed. Building such a bridge seems as easy as rolling off a log for today’s technology, but at that time—more than half a century ago, it represented truly a huge challenge for the construction team. Ten years after that, in order to strengthen the connection between Yuzhong district and the southern part of Yangtze River, the government built a new bridge between Shibanpo (石板坡), Yuzhong district (渝中区) and Huanggedu (黄葛渡), Nanan district (南岸区). That was Shibanpo Yangtze River Bridge, completed and opened to traffic in 1980, becoming the first bridge built on Yangtze River in main urban area of Chongqing. After the completion of this bridge, the leaders of Chongqing, at the time influenced by Western architectural style, decided to erect four 8-meter high aluminum sculptures on each end of the bridge to represent the four seasons. These two bridges marked the formal link of the three banks of Chongqing’s two rivers. 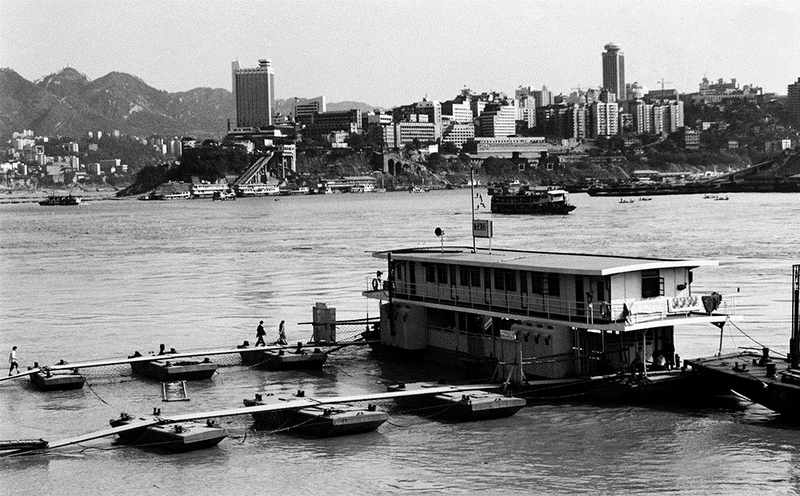 Nonetheless, ferries still played an important role in the daily life of residents until the 1990s. Suppose we needed to travel from Chongqing University in Shapingba to the bustling Danzishi Port (弹子石)(the current Changjiahui viewing area for Yangtze river and Jialing river) the better option would still be to take the bus to Chaotianmen Dock (朝天门码头)first and then transfer to ferry instead of driving all the way. Later, another bridge was built on Jialing and Yangtze rivers, respectively: Jialing Shimen Bridge (1988) and lijiatuo Yangtze Bridge (1996). 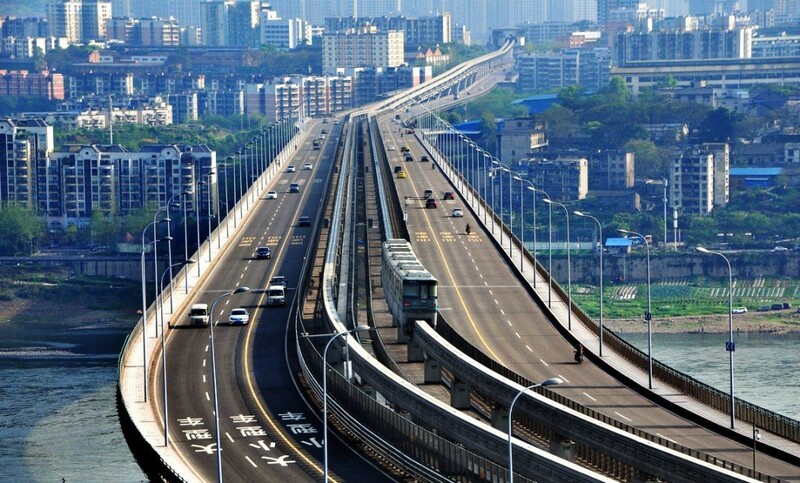 After 1997 when Chongqing was listed as a new municipality directly under the jurisdiction of the central government, it increased the investment in road construction, thus building 7 bridges in Chongqing. 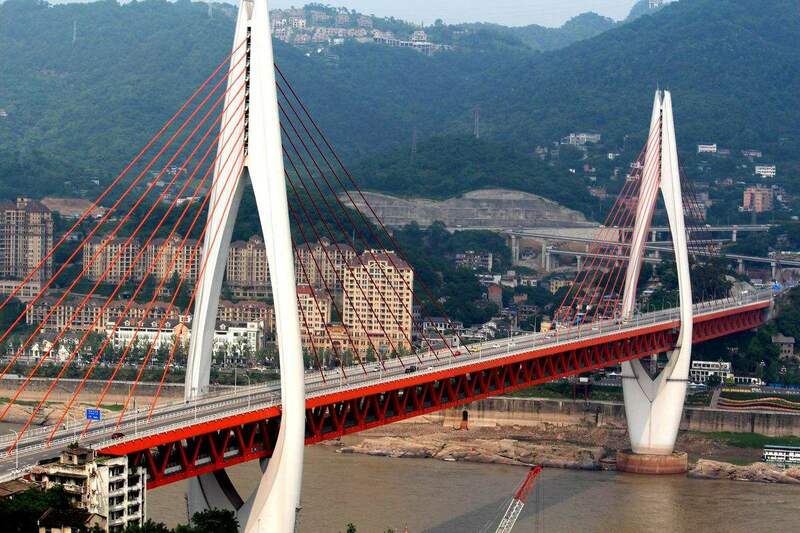 As a result, the Bridge Committee of Mao Yisheng Science and Technology Education Foundation granted the title of “Bridge Capital of China” to Chongqing in 2005. 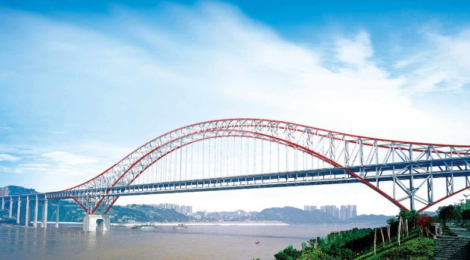 The award of “Bridge Capital of China” is the result of five indicators: number of bridges, scale of bridges, level of technology, diversification of bridges, and influence of bridges. 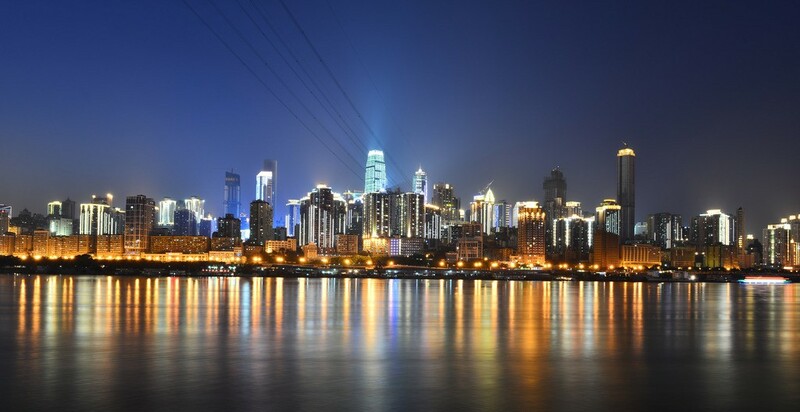 Although Chongqing’s bridges are not as good as those Wuhan, Nanjing, and other cities in terms of scale and influence, Chongqing is far ahead in the remaining three indicators, especially in terms of bridge diversity. Modern bridges in the world can be divided into four categories: arch bridges, beam bridges, cable-stayed bridges, and suspension bridges. All these four types of bridges can be found in Chongqing. Chaotianmen Yangtze River Bridge is the world’s longest span arch bridge, with the main span reaching 552 meters. With a shorter span of 420 meters, the Caiyuanba Yangtze River Bridge is the largest dual-use arch bridge for both roads and rail traffic in China. The upper deck is a 6-lane highway and the lower deck is constituted by two tracks for subway Line 3. Double-line bridges built to relieve the traffic pressure of the Shibanpo Yangtze River Bridge are continuous multi-span bridges. Like Caiyuanba Yangtze River Bridge, Yudong Yangtze River Bridge is also a dual-use bridge. With “two-side for car and light rails running in between,” this bridge is unique in China. Dingshan Yangtze River Bridge and Dongshuimen Yangtze River Bridge are both road and rail dual-use cable-stayed bridges. 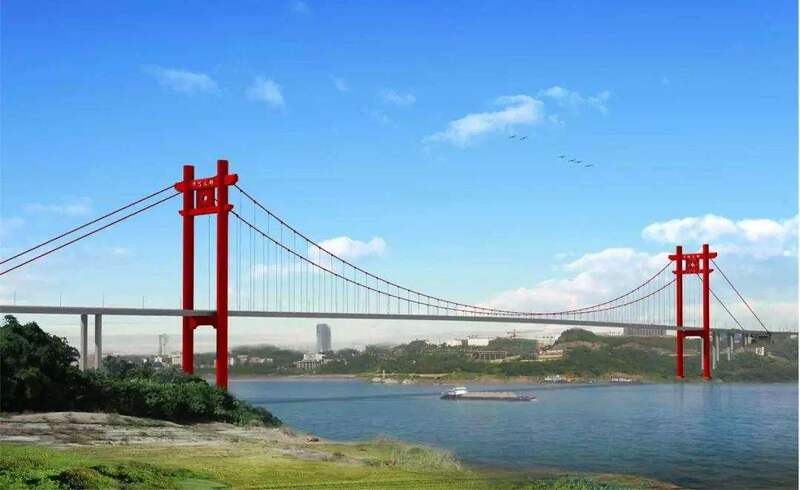 The Cuntan Yangtze River Bridge that opened to traffic last year is the masterpiece of suspension bridge. Its north and south bridge towers are 194.5 meters high and 199.5 meters high respectively, which equals 60 floors and is the highest bridge tower in Chongqing. 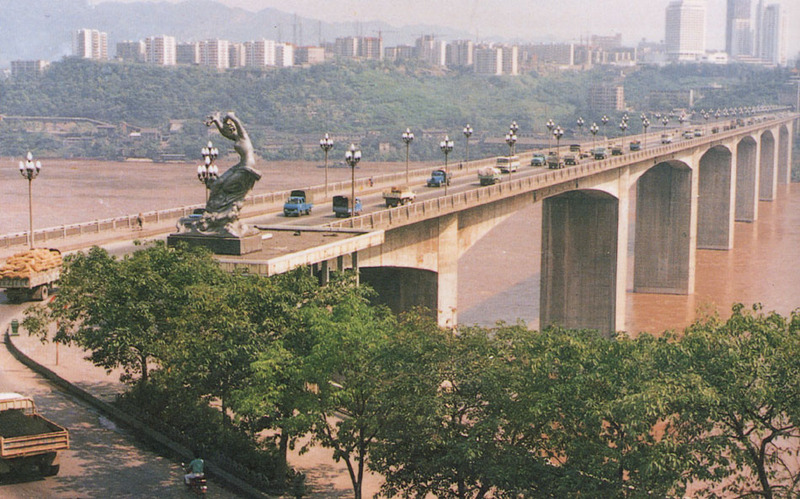 In addition to these bridges mentioned above, there are many other bridges crossing Yangtze and Jialing Rivers in Chongqing’s downtown area, such as Qiansimen Bridge which connects Hongyadongand the Chongqing Grand Theatre, and Huanghuayuan Bridge with the twelve Chinese zodiac signs decoration on its railings. These bridges not only facilitate commuters’ travel needs, but also serve as a booster for Chongqing’s rapid economic development. 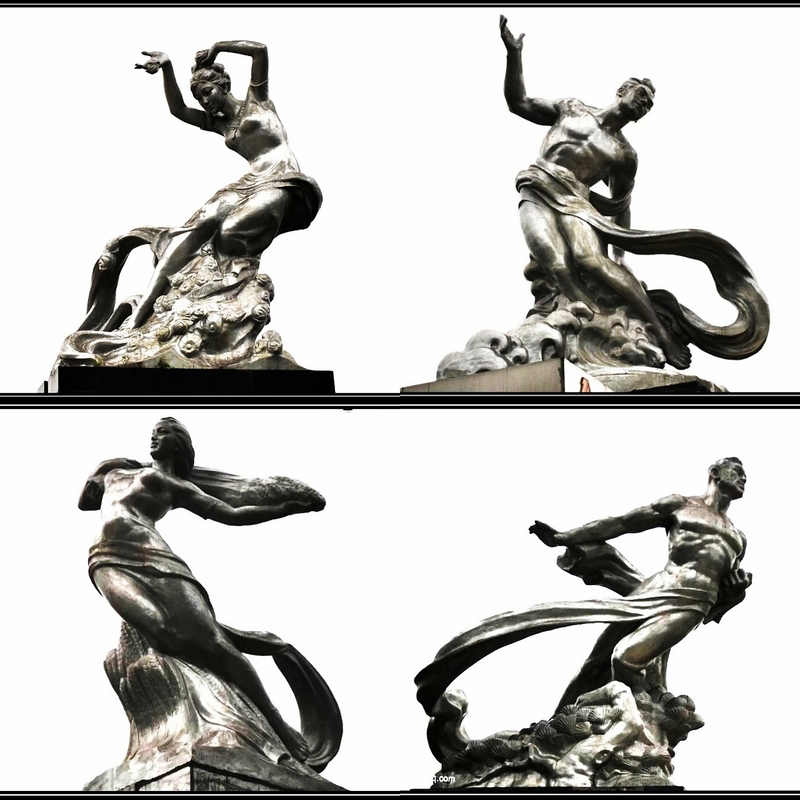 They are also a proof of Chongqing people’s perseverance and symbol of Chongqing spirits.